• $4000 worker ‘assistance’ payment an insult that won’t replace workers’ jobs, pay the mortgage or put food on the table. The Palaszczuk Labor Government has today confirmed it’s placed North Stradbroke Island mineworkers and their families on the scrapheap with their decision to end sand mining on the island. Opposition Leader Tim Nicholls said Labor confirmed workers’ worst fears today by short-changing them with an inadequate compensation package, months after many of them had already lost their jobs. “Straddie is a sad case study of Labor destroying Queenslanders’ job’s to protect their own,” Mr Nicholls said. “How ironic that Labor’s so-called “Employment” Minister Grace Grace today addressed an empty room in Dunwich to offer a paltry assistance package, three months’ after workers have already lost their jobs? “After an insulting false start, Labor can’t even get its assistance package right second time round. “Most workers will receive less than $4,000 under Labor’s inadequate compensation scheme, which won’t replace a job, pay the mortgage or put food on the table. “And all this from self-proclaimed advocate for workers’ rights and former union boss Grace Grace – no wonder none of the former Straddie mineworkers turned up to hear her insulting offer. “Annastacia Palaszczuk and her Cabinet clearly care more about their own jobs than the jobs of North Straddie mine workers. 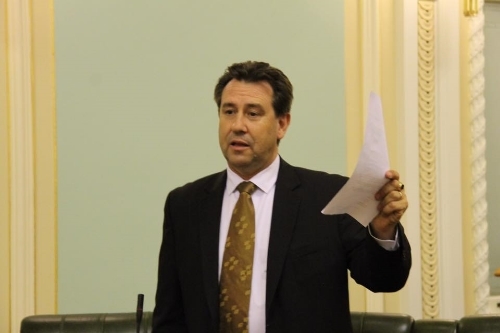 Member for Cleveland Mark Robinson said Labor had broken its promise to provide a proper assistance package following their green-driven decision to end sand mining on North Stradbroke Island. “Most of the North Stradbroke Island sand mining workers who live on the island will be left with no choice but to leave, which will have a devastating impact on the local economy,” Mr Robinson said. “Labor has abandoned the North Stradbroke Island community to secure green party preferences in inner city Brisbane seats. “The LNP Opposition knew that a 2035 closure date for sand mining on North Stradbroke Island would have provided enough time for the island’s economy to transition away from mining – but Labor threw common sense out the window.